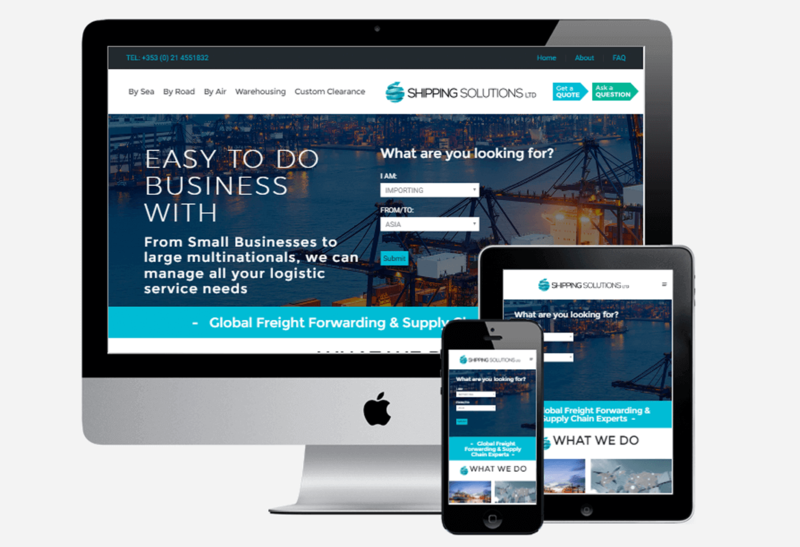 Shipping Solutions, a global freight forwarding and supply chain company based in Cork, wanted to build brand awareness and become more prominent online and promote the wide range of services that they offer in the shipping industry. Finn Media worked on various activities to improve the structure and UX design of the site, we also developed a strategy that focused on a number of online activities to achieve results. We also focused on generating traffic to the site via email marketing campaigns, SEO activities and Google Adwords campaigns which proved to be cost effective and also generated results.